Perfect for parents, grandparent, aunts, uncles, big brothers and big sisters! Great for tossing into your purse or office drawer....and BRAGGING when given the opportunity! 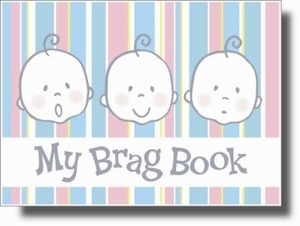 With triplets, EVERYONE will ask to see your brag book!